Scientists around the world use Linkam thermal stages in interesting ways. McCrone Microscopes & Accessories has been an official Linkam Scientific dealer for many years; we’ve invited Linkam to share some of their application notes from 2017. Watch for more contributed articles in 2018. The universe is thought to be approximately 13.8 billion years old, with the earliest forms of life on Earth thought to have begun as early as 4.1 billion years ago. Through the process of evolution simple carbon-based life forms evolved into some of the most complex forms of life we see today, yet some of the key questions as to how life began remain elusive. Some theories even suggest that life in the form of microorganisms may have been brought to Earth from elsewhere in the solar system through meteorite impacts. 2017 has seen some exciting space science stories, from the photos of Cassini’s final mission and the total solar eclipse, to learning about the latest exoplanet that could harbour life. Our knowledge of such events relies on the research conducted every day by those in the space science field. The members of the Planetary and Space Sciences discipline at The Open University have been involved in some of the major space missions including Stardust, Genesis, Rosetta, and Cassini-Huygens. Based in Milton Keynes, UK, the group has developed and built scientific instruments that have flown on some of these space missions. The OU planetary scientists are also world renowned for their laboratory analysis of extraterrestrial samples, including moon samples collected by Apollo and Luna missions, asteroids, and meteorites from Mars. In the late 1960s and early 1970s during the manned Apollo and unmanned Luna missions to the moon, surface samples were collected for laboratory analysis on Earth. Almost 50 years on, these same samples are being analysed using modern instrumentation to reveal new insights into the geological history of the moon, including one of the most exciting discoveries of lunar water. These new and exciting results from recent laboratory studies on lunar samples were complemented by remote sensing data returned by a number of recent lunar missions such as India’s Chandrayaan-1 and NASA’s LRO discovering water at the lunar surface. Dr. Mahesh Anand of The OU has previously measured water and its hydrogen isotopic composition in the mineral apatite in lunar samples by various Apollo missions. Dr. Alice Stephant recently joined Dr. Anand’s team at The OU; they are planning to analyse water and hydrogen isotope composition of water trapped in tiny inclusions of melt (called melt inclusions or MI) in moon rocks, sourced from lunar volcanoes. Moon rocks from various Apollo missions, including Apollo 11, were carefully cut and polished to approximately 30 µm thickness, and are ready for MI work. Using the Linkam TS1400XY, samples can be heated to approximately 1400 °C, the temperature reached within lunar volcanoes, and quickly quench-cooled to give the samples a smooth, glass-like finish known as homogenization. These samples can then be analysed for their water contents and hydrogen isotopic composition using other analytical techniques. Dr. Anand uses the TS1400XY to look at mineral ilmenite, one of the constituents of the dark patches (called mare) on the moon. Compositional and isotopic analysis is a way of fingerprinting the origin and sources of various chemicals in our solar system. By exploring the potential sources of water and comparing samples from other planets within our solar system, it may help towards better understanding the evolutionary history and the formation of our solar system. Analysing the composition of water is not only important in terms of tracing its origin, but can have important implications for the future exploration of the solar system. The discovery of water may hold the key to the development of rocket fuel on the moon. The establishment of a permanent base on the moon with its own source of rocket fuel would allow space exploration missions to delve deeper into space, by avoiding the huge amounts of energy required to escape the strong gravitational pull of the Earth. We look forward to hearing more about their research in 2018. As the modern world advances and our reliance on technology increases, it becomes necessary to improve the efficiency of semi-conducting materials. Semi-conductors are commonly used as diodes and transistors in devices such as microprocessors. Research into these materials is of paramount importance. Rare-earth perovskite transition metals have been shown to have properties ideal for semi-conductor devices. Recent studies have found transition metal oxides to have incredible electric, magnetic and superconducting properties, potentially ideal for semiconductors. LaAlO3 and SrTiO3 are wide band gap insulators with perovskite-based structures which are commonly used as substrates for functional oxide thin films. However, thin films of these oxides are not of much use except as high-k dielectrics. They require the addition of ions to tune their electronic band structure, and thus improve their magnetic and optical properties. It is the interface between these oxides which prove to be the most interesting; their interaction induces magnetic and conductive properties from otherwise non-magnetic, insulating oxides. LaAlO3 is a rare-earth based perovskite transition metal oxide. Naturally, such materials are isolated as crystals, and it is important to understand the native characteristics if we are to better understand thin film behaviour. Due to its high-k dielectric properties, LaAlO3 is a promising material for metal oxide-based semiconductor devices. However, concern has been raised in several studies regarding leakage-current which is caused by structural defects. Understanding these defects theoretically and experimentally is of utmost importance for better use of such materials in optical and electronic applications. It has also been discovered that lattice strain affects the role and dynamics of defects. Previous work has also demonstrated that phase transitions can occur when samples are placed under certain temperatures. Current theories also suggest that specific engineering of these defects can provide several different functionalities for transition metal oxides. Raman spectroscopy further provides a useful method of probing these defects. A collective effort from the National University of Singapore, Nanyang Technological University and Trinity College Dublin explored novel magnetic excitations using Raman spectroscopy to probe LaAlO3 and several other polar oxide substrates. They built on the idea that a host of robust defects present in LaAlO3 could be promising in providing new functions with controlled engineering. The group conducted magnetic field dependant Raman spectroscopic studies at low temperatures to gain a better understanding of lattice phonons and the functionalities of these defects. Low temperature Raman spectroscopy was conducted using a WiTec Raman spectrometer and a Linkam HFS600-PB4 with LNP (liquid nitrogen pump), allowing a temperature range from -196°C to 600°C. The low temperature experiments provided evidence for novel transitions which disappear at room temperature. These transitions were found to be magnetically sensitive, suggesting a magnetic degree of freedom caused by the defects. They further discovered that the key to magnetic sensitive field states is the presence of a heavy element within the transition metal oxide. These angular momentum states and the magnetic interactions can be tailored for novel optical applications. The magnetic degrees of freedom may potentially be tuned and optimised in rare-earth perovskites for optical applications. The group’s findings pave the way for further experimentation and testing to better understand the complexities of transition metal oxides. 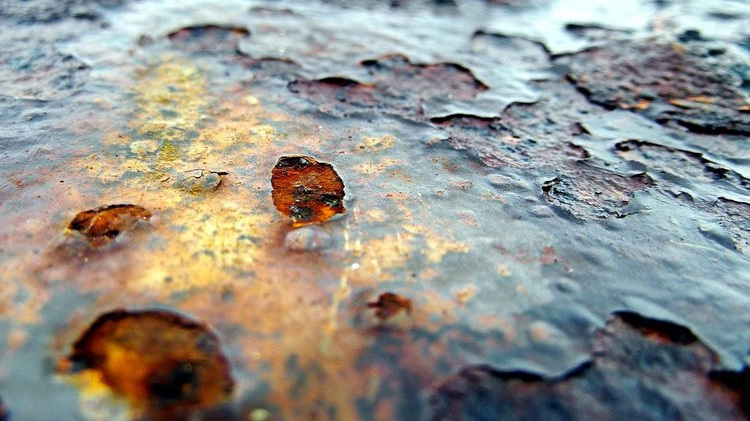 Metals are significantly important materials for a range of different industries including oil, chemical, aerospace, pharmaceutical, and medical; however, metallic components exposed to the environment are prone to corrosion and oxidation. The potential problem with graphene is that the high electronic conductivity and the direct contact with the metal could create a galvanic cell, which, over time, would cause degradation of the metal. As such, other 2D materials have been investigated. Hexagonal boron nitride (hBN) has been studied as a potential alternative as it has the same permeability as graphene and does not form a galvanic cell. A group of researchers from the Technical University of Denmark compared the protective properties of graphene and hBN under two oxidation environments, one simulating an acute and one a long-term. The group grew both materials on copper through chemical vapour deposition, then conducted a variety of experiments to analyse their capability as barriers to corrosion and oxidation. This included Raman spectroscopy, X-ray photoemission spectroscopy and X-ray induced auger electron spectroscopy. To simulate the short acute oxidative conditions, the samples were first heated from room temperature to 400°C for 45 minutes. The second experiment was an isothermal experiment where samples were held at 50°C for 60 hours to simulate long-term oxidative conditions. 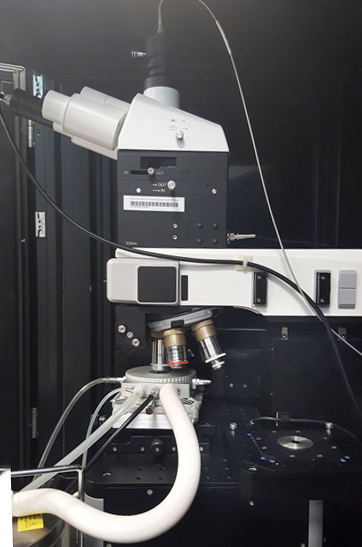 They conducted the heating of their samples inside a custom Linkam LTS600 used in conjunction with a Raman microscope. The results from the Raman spectroscopy indicated graphene to be an effective oxidation barrier in the acute oxidative environment. Between temperatures 150°C to 300°C hBN was less effective, which is assumed to be due to the higher density of grain boundaries and wrinkles, known to induce faster oxidation of the copper substrate. However, above 300°C, the oxidation of the graphene coat increased as measured by the increase in the Raman intensity of the copper oxide peaks that were larger than that for hBN. Results from the isothermal experiment showed the barrier properties of graphene were effective only in short periods. After being held for nine hours in 50°C, the oxidation of graphene resulted in an increase in copper oxide peaks. The failings of the graphene coat were due to the galvanic cell formation. The X-ray photoemission spectroscopy and X-ray induced Auger electron spectroscopy results showed hBN to be a better coating under the long term oxidative conditions. At nine hours, the material showed little-to-no oxidation. After 40 hours there was a detectable increase in Cu(OH)2, but this was negligible compared to the graphene coated sample. They also showed the main peak on the surface of the graphene sample was copper oxide and copper for the hBN sample. The lack of a measurable oxide peak in the hBN sample demonstrates its superior ability as a protective barrier under long-term oxidative conditions.